Pita Nikolas Aufatofua carries the flag of Tonga during the opening ceremony for the 2016 Summer Olympics in Rio de Janeiro, Brazil, Friday, Aug. 5, 2016. RIO DE JANEIRO, Brazil -- The pageantry of the Olympic games opening ceremonies is always something to behold, and in this age of social media, can make instant legends. 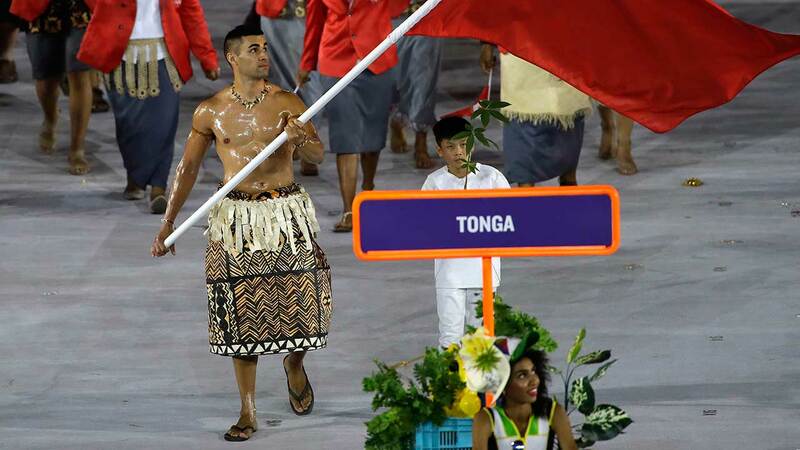 That was the case Friday night, as the shirtless flag bearer from Tonga, covered in baby oil sent social media into a frenzy. Pita Nikolas Aufatofua, who carried the flag for Tonga, will go for the gold in taekwondo. Pita is not only an Olympian, he's also a great humanitarian. He spends most of his time working with homeless kids in Australia. Below are just some of the tweets after his appearance in the opening ceremonies.